After you have gone through the ABC Chart and ABC Book, you can go through these Primers to help you learn how to put the Keliko letters together to make syllables, words and sentences. You can find a friend who knows how to read Keliko to help you. There are also Teacher's Guides here that will help your teacher know how to use the books effectively. 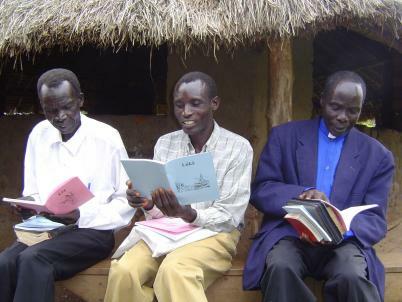 After you finish these Primers, you will be able to read the Keliko New Testament! If you are just starting to read Keliko, you should start with the ABC Book and ABC Chart. If you can already read English, you should start with the Keliko Tone and Vowel Book.